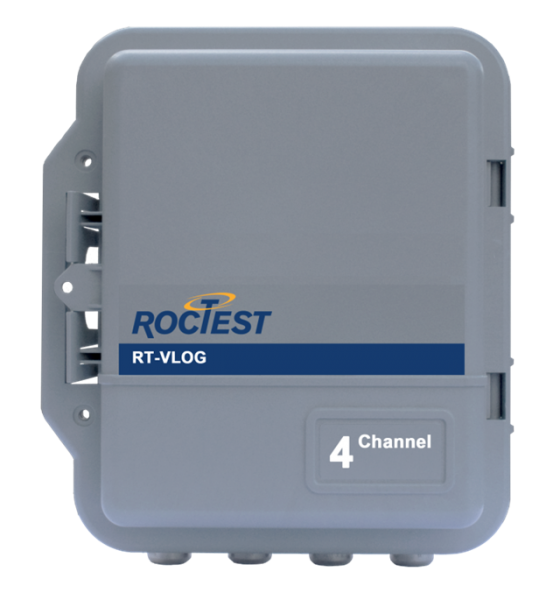 The RT-VLOG is a robust, cost effective, compact and user-friendly datalogger designed to monitor all pluck-type vibrating wire sensors on the market. The new RT-VLOG is a highly accurate, robust, compact and cost-effective Vibrating Wire (VW) datalogger designed to monitor multilevel piezometers, load cells and multipoint extensometers. 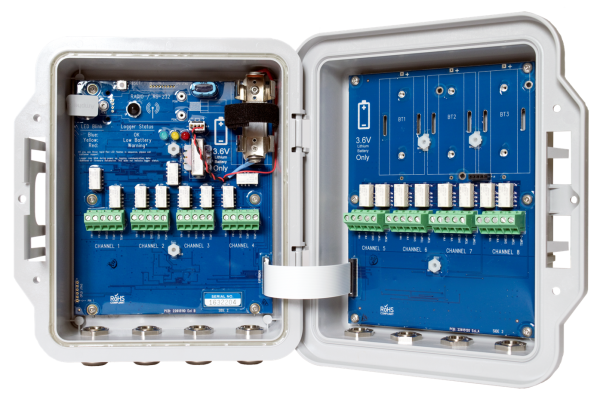 Available in 4 or 8 channel configurations, the RT-VLOG is ideal for use in small and medium size projects. Its non-volatile memory can store over 63,500 records. Each record includes the VW reading and temperature reading with time and date. When the memory is full, recording either stops or overwrites the oldest record. The data stored in the memory can easily be retrieved in Hz and Engineering Units on your laptop via a USB cable. The logger manager software saves all the reading in a text file (CSV), easily imported into your spreadsheet software. 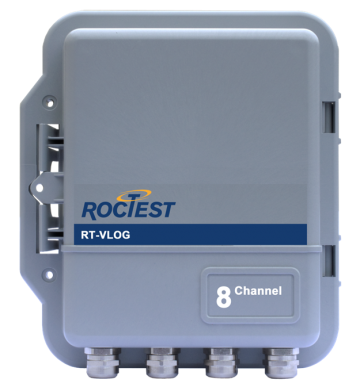 The RTV-LOG is easy to set-up and requires no programming. 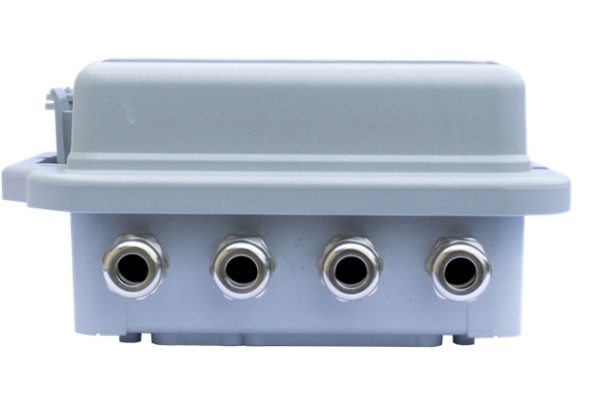 An optional RS-232 serial connection is available for IP modems, WIFI serial servers, etc. An internal 900MHz Hermes Radio is also available as an option on both the 4 and 8 channel versions to transmit its data wirelessly. RS-232 serial connection available for IP modems, WIFI serial servers, etc. Note: Lithium D-Cell Batteries will only be shipped by ground transportation. Xeno Energy or Tadiran lithium D-Cell batteries can easily be sourced locally for international customers. Lithium batteries are now considered as hazardous goods for air shipment. 1 Lithium D-Cell Batteries will only be shipped by ground transportation. Xeno Energy or Tadiran lithium D-Cell batteries can easily be sourced locally for international customers. Lithium batteries are now considered as hazardous goods for air shipment. 2 Depending on the site and the type of antenna, the radio will deliver up to a 500 KBs data rate for distances up to several kilometers/miles.